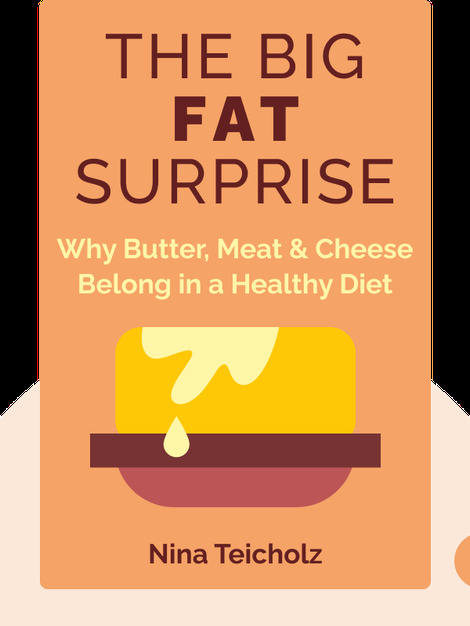 In Big Fat Surprise (2014), author Nina Teicholz dismantles the common misconception that a low-fat diet is good for you. 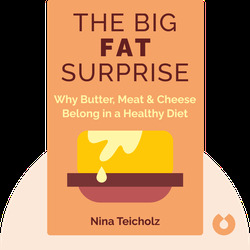 With examples both from research and experts, she explains how fat can even be healthy, if eaten correctly. The book offers guidance on how to adjust your diet to maximize the benefits of certain kinds of fats while lowering your risk of heart disease. Nina Teicholz is a highly respected science journalist who focuses on nutrition. She’s written for the New Yorker, the Economist, the New York Times and the Washington Post.